I’ve mentioned here before that I love making things from scratch. Generally speaking, if a food item exists, there is usually a way to make it yourself and BETTER. (With a few exceptions – er, filo pastry? No I don’t think so.) One perfect example of this is jam. I love to preserve the seasons in lots and lots of jars and then basically never eat it/give away as many jars to people as they can carry. Yes, I know. I love to make jam but I don’t love to eat it. Does that make me weird? I don’t know, despite having a massive sweet tooth, I do possess an overwhelmingly savoury tooth when it comes down to it. Like for breakfast, I really don’t do sweet – Marmite on toast, ftw. And jam is just one of those things that I’ve always felt pretty meh about. Until… Enter this smoked chilli jam. It is super quick to make and doesn’t involve standing over a huge vat of boiling hot lava. Its sweetness is tempered with delicious smokiness, saltiness and sourness. 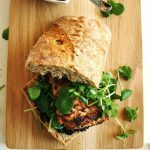 You will have enough left after making this to pep up any boring sandwich situation you may find yourself in for some time afterwards. So yes, this cajun chicken sandwich is all about the smoked chilli jam with which it is slathered. You could almost do away with the chicken and it would still be fantastic. But I wouldn’t do that! Unless, of course, you don’t like chicken, in which case, this would be amazing with some big chunks of roasted vegetables. Or just lots and lots of cheddar cheese. 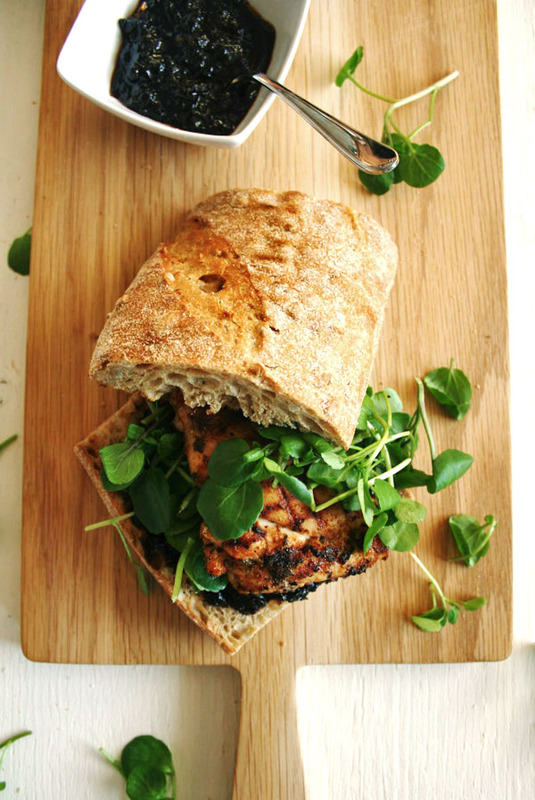 This sandwich is spicy and sweet and smoky and…well, what else could you possibly need? A nice big portion of sweet potato chips on the side would be perfect, actually. This would be great for a weekend lunch or a speedy evening meal, especially if you make the jam ahead. Remove the stalks and seeds from the dried chillies and place in a small bowl. Cover with boiling water and leave to rehydrate for 15 minutes. Drain the chillies and chop them finely. Place them into a small, ideally non-stick, saucepan with a pinch of chilli flakes for extra heat if desired. Add the vinegar and bring to the boil. Finely chop the garlic and add this to the pan along with the sugar and the oregano. At this point the texture will become jammy. Continue to simmer this mixture for 10 minutes, making sure that you stir it often to prevent burning. After 10 minutes, the jam should have thickened a little. Stir in the soy sauce and Worcestershire sauce and pour into a sterilised jar. Allow to cool and keep in the fridge for a few weeks. Place the chicken into a dish or a resealable bag. Add the cajun seasoning, dried thyme, a good grinding of black pepper and the oil. 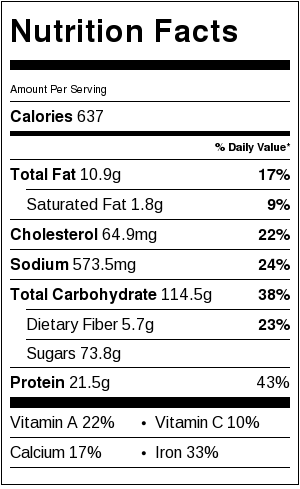 Check if your cajun seasoning contains salt - if it doesn't, add a pinch of salt. Mix thoroughly and leave to marinate for at 20 minutes, longer if you can. Heat a griddle pan over medium-high heat. Griddle the chicken thighs for about 10 minutes, turning occasionally, until cooked through and nicely coloured. Grill or griddle your ciabatta bread until lightly toasted. 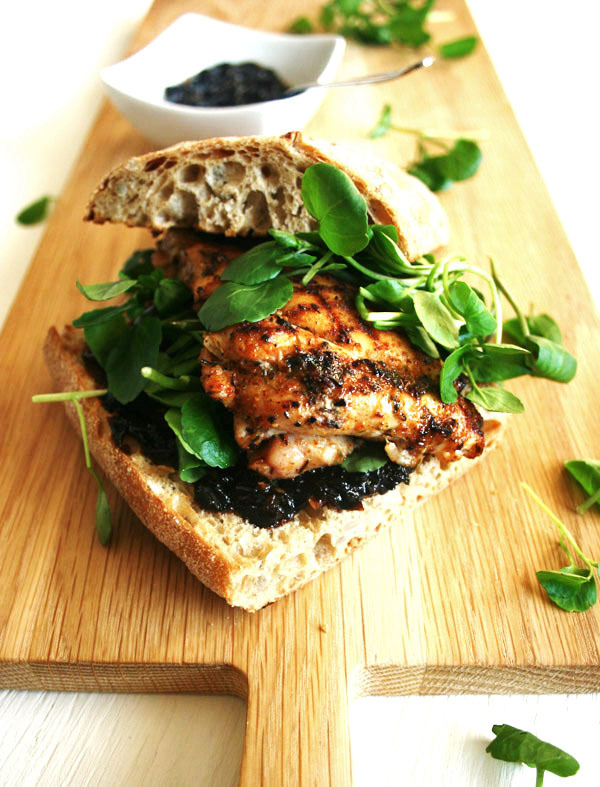 Smear with some of the smoked chilli jam, place on a good handful of watercress and top with the griddled cajun chicken. If your kitchen isn't stocked to the rafters with dried Mexican chillies, fear not. Substitute the pasilla and mulato with another 2 anchos and add a few more chilli flakes - you can find ancho chillies in the supermarkets now. You could also add a fresh chilli or two to add to the flavour. Having said this, dried Mexican chillies are easy (too easy) to buy from the internet and are really worth it for their unique smoky depth of flavour. 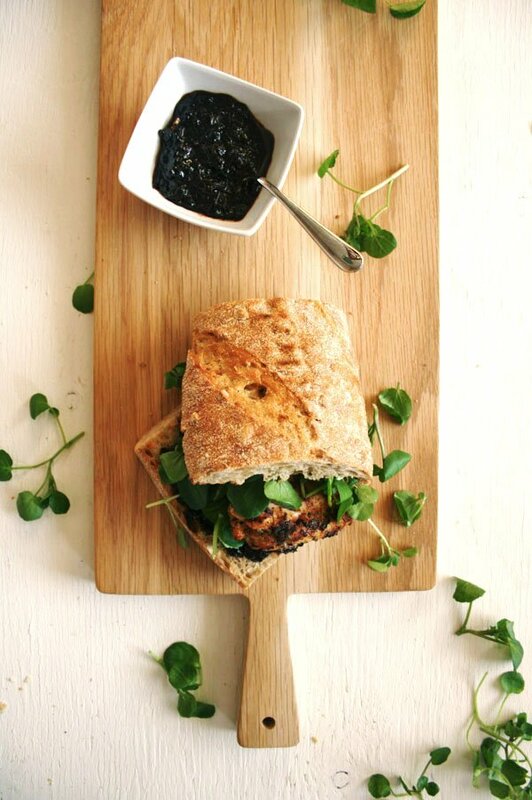 To make the jam vegetarian/vegan, simply omit the Worcestershire sauce and increase the light soy sauce to 2 tsp. Again, if you don't have Mexican oregano, regular oregano is perfectly good. But I urge you to buy some and see how incredibly floral it is!